Optional common venting provide flexibility. 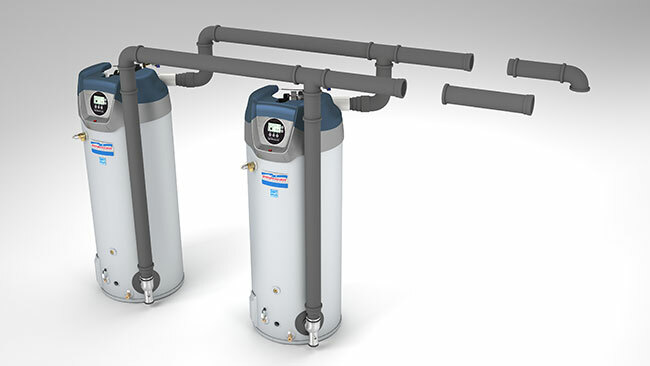 These kits allow for easier install with fewer roof/wall penetrations and are certified for use with the American HCG Series Commercial Gas heaters. • Kits include backflow preventer plus intake and exhaust adapters. Piping and termination field supplied.